Cinco de Mayo is here! And if you’re not hip to the actual reason the fifth of May is celebrated, let me clue you in! On May 5, 1862, 4,000 Mexican soldiers defeated the French army and an army of traitor Mexican soldiers to regain control of the country in Puebla. Anyone can go to their local Mexican joint to celebrate. But WHY? Over the course of today, I’m going to lay out easy recipes to cover your celebration, from drinks to dessert. 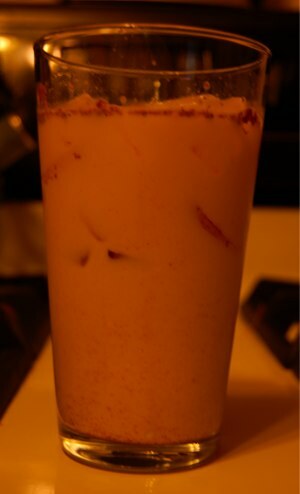 First up, horchata! Horchata is a non-alcoholic rice beverage perfect for the kids or non-drinkers you love. Although the preparation takes about 3 and a half hours, for three of those hours you don’t even have to look at it. Pour the rice and water into the bowl of a blender. Blend until the rice is coarsely broken up (about a minute or so). Let the mixture stand at room temperature for 3 hours. Strain the mixture into a pitcher and compost or trash the rice. Add the milk, vanilla, cinnamon, and sugar to the mixture. Chill well and serve cold.